Gene therapy has become one of the most exciting medical topics in the past few years. Researchers have made great gains in the field, but the process is still slow. While many researchers have focused their experimentation on more life-threatening conditions, such as cystic fibrosis, Dr. Freddie Fu has applied genetic therapy to orthopedics. Fu, of the University of Pittsburgh Medical Center, thinks that sports medicine is one of the most promising areas for integration of gene therapy methods. As chairman of the UPMC Orthopedic Surgery Department, he’s got a talented team of researchers working hard to prove it. Dr. Fu seems to have an eye for breakthrough technological innovations with a potential to revolutionize the field of orthopedics. After completing his undergraduate training at Dartmouth, as well as receiving his BMS from Dartmouth Medical School, Dr. Fu came to Pittsburgh to complete his graduate and post-graduate medical training. In 1981, he was one of the first to receive his training in arthroscopic surgery directly from one of the pioneers of that orthopedic technique. Despite a multitude of attractive job offers, he never left Pittsburgh after coming to medical school there in 1978. For the tremendous contribution he has made to the city, Dr. Fu was named one of the 100 most influential Pittsburghers of the century by the PITTSBURGH Magazine. Knee1: I know that you have completed your arthroscopy training in 1981, which was at the very beginning of the arthroscopic surgery era. How did you become interested in this technique? Dr. Fu: It certainly helped to have the best person, Dr. Lanny Johnson, train me. My long-standing interest in sports and sports medicine played a big role, since at that time I was really eager to learn the best techniques in the field. Personally, I have always been interested in sports. I played basketball and was the captain of the number one high school team in Hong Kong. I was also on the swim team. I think orthopedics was the best choice for me in view of that. I am still very active in sports. I enjoy riding my bicycle during the summertime, and skiing in the winter. Knee1: Are you involved with any of the Pittsburgh sports teams directly? Dr. Fu: I am the head doctor for the University of Pittsburgh athletic department. And, I am also involved with the Pittsburgh Ballet – I am a board member there. Additionally, I currently serve as the chairman of the board of the Pittsburgh Marathon, where I have served as the medical director for five years. Our clinical faculty takes care of the Steelers and the Penguins, in addition to athletes from seven area colleges and 43 high schools. So, as you can see, we are quite busy – we have eight faculty members devoting their time exclusively to sports medicine. And, of course, sports medicine is the area where most of the arthroscopic surgeries are performed. Knee1: I know that in addition to maintaining a busy clinical practice, you also oversee a number of research projects. What are some of the directions orthopedic research at UPMC is currently heading in? Dr. Fu: I think it is important to appreciate how much the orthopedic research has changed in the past 20 years or so. When I was a resident in the 1970s, I was the only orthopedic fellow doing laboratory research at UPMC. Today, we have four laboratories staffed by over 100 people, 12 of them full-time research faculty, under the direction of Dr. Savio Woo, who is the current vice-chair of research. One of our laboratories is devoted entirely to the traditional orthopedic research in the area of biomechanics. That lab is using robots to pinpoint precise locations for surgical incisions. We are also looking at computer-assisted surgery; essentially, that entails using the computer to look at the knee in three dimensions. So, this really compliments the research done with our robots – it is, basically, a robotics computer-assisted surgery. The research in our second lab is centered on proprioception (the reception of stimuli produced within the organism) and balance, under the guidance of Dr. Scott Lephardt. It is interesting since proprioception represents a somewhat obscure concept to most patients. If you are walking, for example, we often don’t realize how much support the muscles and the nerves provide to the knee; so much, in fact, that the ligament is being protected. This has interesting applications in the post-operative setting. We know biologically that the ligaments take a long time to heal, but sometimes the muscle is so strong and the nerve system is so good that they help to protect the graft in place and the person can recover sooner. You can say that this is one of the little tricks we play with nature, our way of “fooling” the basic biology of the healing process. Another interesting finding with proprioception has been summarized in our recent publication in the American Journal of Sports Medicine. 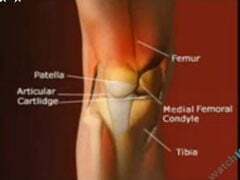 In females, as you probably know, we notice a very high incidence of ACL (anterior cruciate ligament) tears. Various explanations have been proposed for this observation, including hormonal and structural factors. We have found that females have worse proprioception than males, as well as more laxity in the knee as a whole. As a result, they are much more prone to ACL tears than males, just based on that alone. I definitely think that causality of this phenomenon is multifactorial. But we definitely think that proprioception is one important factor as well. The good thing about it is that you can definitely train people to avoid injury. Knee1: Please tell me more about gene therapy research carried out in your department’s laboratories. Dr. Fu: We have a laboratory devoted to molecular biology in terms of gene therapy and tissue engineering. Gene therapy, of course, started around ten years ago mainly for devastating diseases such as cystic fibrosis and the like. The basic premise is to say if a patient has a defect in their system, the missing genes can hopefully be replaced by injecting them into the patient. This idea turned out to be extremely difficult to carry out, primarily because of the constant need to replace the diseased cells with massive doses of enzymes in order to maintain the supply of the cells that have the desired genetic makeup. At UPMC, we started to look at rheumatoid arthritis patients around 10 years ago in a study directed by Dr. Chris Evans. When patients are diagnosed with rheumatoid arthritis, they were often given medications with the idea to suppress the particular enzymes that were destroying their joints. We have recently a NIH-approved human trial consisting on nine older female patients that we carried out using gene therapy techniques to transfer genes that contained enzymes to suppress the effect of the destructive enzymes into the synovium of rheumatoid patients. We are about to take a very critical look at the data that we gathered. Another important study in sports medicine has been going on at the same time. It was investigating the idea of using the same gene therapy techniques in which we use a viral vector to carry a certain enzyme into the patients’ cells. The result will hopefully lead to alleviation of the pain that the patients are experiencing. And we have already targeted the knee tremendously. Some of the areas we have looked at more closely include ligament healing, insertion site healing, and the graft tunnel healing. The tunnel drilled in the patient’s knee during surgery in order to put the draft in would not grow back on it’s own. But now we have techniques to put a special kind of genetic manipulation with BMP2 into the ligament so the tunnel can reform the bone again. We also look at meniscus healing and cartilage healing, as well as regeneration of neuro-vascular structure. Because when you put the graft in (during an ACL reconstruction), that graft has no nerve structure going through it. We are investigating the possibility of regrowing the nerve into those grafts. So, those techniques, as you can see, are extremely far-fetching. Knee1: Why do you believe that sports injuries represent one of the most promising areas for application of gene therapy methods, maybe even more so than some of the genetic diseases currently under investigation by many researchers? Dr. Fu: The interesting thing about gene therapy and sports medicine is the fact that if the therapy is successful, we have a chance of curing the patient once and for all without the need to keep him on the therapy for as long as they live. In cystic fibrosis, for example, a patient is in need gene therapy for a lifetime, because after you inject the growth factors into the cells, they will die within four to six months. Rheumatoid arthritis patients present the same scenario. But in sports medicine patients, they only need those growth factors administered in a limited-time regiment, lasting only four to six weeks, when the healing occurs, and after that, they don’t need it anymore. Once the ACL, for example, is healed, you are done. That is precisely why I think that sports medicine is more promising for gene therapy than any of these other fields. In all other fields, gene therapy takes much longer and you have to repeat the treatment regiments multiple times. Also, in sports medicine, the delivery mechanism can be perfected to be much safer for the patients, since you need a much smaller dose of the viral delivery agent. For example, the work done by Dr. John Huard has achieved incredible results. He begins by taking muscle cells from a patient, then uses a technique to turn those cells into the basic cells, and then he genetically manipulates those cells to grow the tissue that he is looking for, for example, to make bone, or vascular tissue. Thus, we can grow the cells to specifically target the tissues that are damaged in our patients. So, the surgery completely bypasses biomechanics. And Dr. Huard has already been able to demonstrate in animal models that he can use muscle cells and DMP2 protein to regrow fractured bones. Also, in the cartilage healing models we can use muscle cells and growth factor to make the cartilage regrow. To me, this work really has unlimited potential to benefit our patients. Finally, with gene therapy, as well as with the other important directions our research is progressing in, I think it is of fundamental importance to have a clinical need driving the research. That is why I feel that it is very important to pay attention to outcome studies. At UPMC, we have Dr. Molly Voght overseeing all outcome studies, and Dr. James Irrgang overseeing all sports medicine clinical outcomes research. Without such studies, we have no way of knowing whether the far-fetching insights that we are developing have any real meaning for the patients. With all of my other responsibilities, I am still a very busy clinician, and I feel that can really help to direct the research in the area where the patients need it most. I really believe that the tissue engineering and gene therapy techniques that we discussed have the potential to make for perfect surgery outcomes, since they represent a culmination of the synthesis of the most current knowledge in biology and biomechanics.